The weather on Wall Street was overcast today, and that seemed to be the mood for investors. Stocks pulled back Wednesday, but keep in mind that they have been surging lately. They can't go up every day. 1. Markets step back: The Dow, S&P 500, and Nasdaq all moved lower. 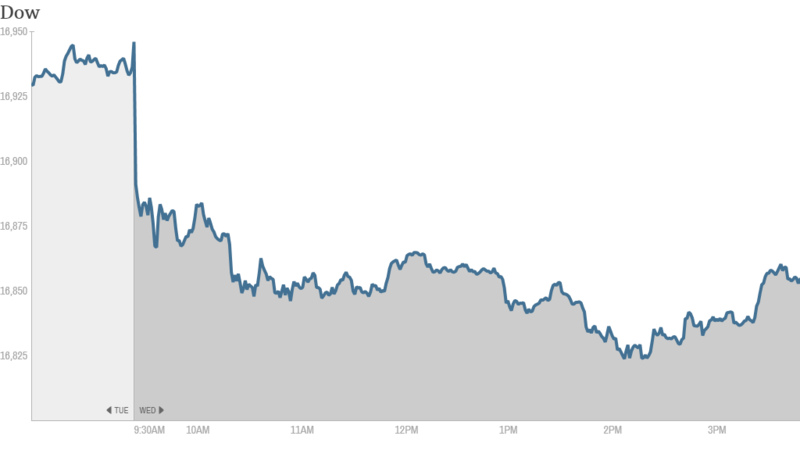 The Dow dropped 102 points (about 0.6%). It is back below the 16,900 level again. Many are waiting for the Dow to break 17,000 for the first time and hope this milestone can come this week. Interestingly, the Dow experienced the biggest loss today out of of the major indexes. The S&P 500 was down about 0.35% and the Nasdaq was only off by 0.14%. Normally the bigger companies that make up the Dow are seen as safe havens, but not this time. Today's setback could be driven by the World Bank lowering its Global Economic Outlook for 2014. The bank now predicts a 4.8% pace for the year, down from its January estimate of 5.3%, marking the third straight year of under 5% growth for developing economies. In a week without much new data, investors are looking for ways to gauge the pulse of the economy. 2. Corporate movers -- Bank of America, Facebook, Ulta, H&R Block, Amazon: Bank of America (BAC) shares declined 2% after the New York Times reported that the Justice Department is seeking a $17 billion penalty from the lender over its role in the mortgage crisis. 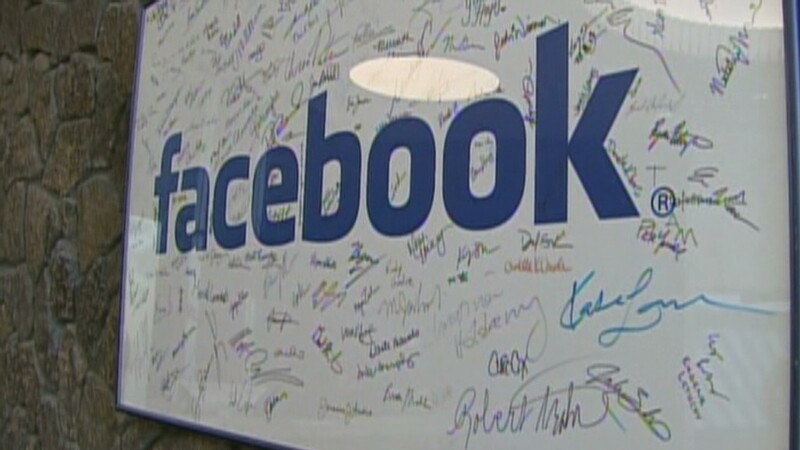 Facebook (FB) took a breather Wednesday from its recent run, finishing the day flat. The stock is up 15% in the past month and got a good boost this week after eBay (EBAY) announced that PayPal President David Marcus is leaving the e-commerce site to join Facebook. Shares of Facebook are up almost 20% this year, and the stock is the second best performer on CNNMoney's Tech 30 Index for 2014. "$FB...good opportunity for traders to take profits," said StockTwits trader Jerry_S. Lululemon (LULU)fell after Chip Wilson, the yogawear maker's founder and largest shareholder, released a statement saying that he voted against the reelection of two of the company's board members, including its Chairman Michael Casey, because they didn't align with the company's values. Lululemon hit back and defended the board members against the accusation. The stock is down 2.5%. Ulta Salon Cosmetics & Fragrance (ULTA)soared almost14% after the beauty company reported a 19% bump in quarterly profit thanks to an impressive bounce in sales. "$ULTA thanks ulta you made my day . biggest jackpot ever made since I started trading," said midnighttrader on StockTwits. H&R Block (HRB)advanced 4.6% thanks to strong earnings from the tax preparation firm that were driven by an uptick in its online business. Amazon (AMZN)popped after it received a rating upgrade by analysts at Goldman Sachs. The company is currently in a spat with Hachette books and Warner Brothers (owned by CNNMoney parent company Time Warner (TWX)). 3. Investors continue to pour money into corporate bonds and Spanish debt. The spread between corporate bonds and U.S. Treasuries is at the lowest point this week since 2007. It's now a mere 125 basis points, according to Bank of America Merrill Lynch. This week the yields on Spain's 10-year bonds dropped below those of the United States, meaning Spain can borrow for less cost than America. It's a big turnaround for a nation that was on the brink on default two years ago. Related: Do you have enough invested in small cap stocks? 4. European Airline stocks hit by turbulence: Europe's airline industry is in the spotlight Wednesday. Shares in Lufthansa Group (DLAKY)fell by 14% in Germany after the airline operator issued a surprise profit warning. Airbus (EADSY)stock closed down 3% in Paris after Emirates Airline canceled a multi-billion dollar order for 70 A350 planes. 5. International stock market action: European markets finished lower. Asian markets ended with mixed results.